Our Apple Cobbler Gobbler is a shortcut to dessert. 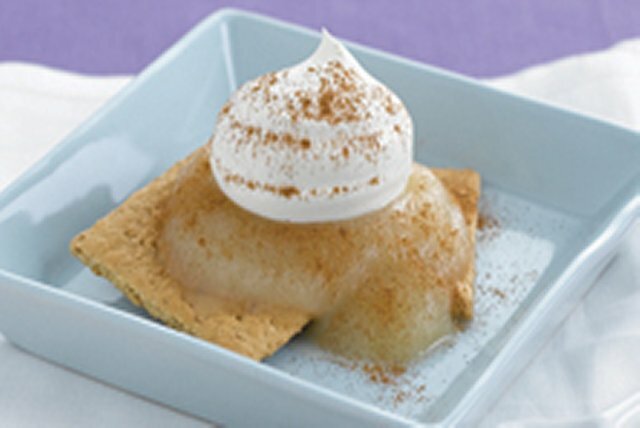 Made with graham wafers, apple sauce and a dollop of COOL WHIP, this quick dessert is ready in less than 5 minutes. Place wafers in microwaveable bowl; top with applesauce. Microwave on HIGH 15 to 45 sec. or until heated through. Let stand 1 min. to cool slightly. Top with the whipped topping. Substitute 6 Nilla Vanilla Wafers for the 2 graham wafers. Sprinkle lightly with ground cinnamon before microwaving as directed.